I'm upgrading all of our servers from 2008r2 to 2016. I have one server that I am looking to decommission, but am having some trouble. This server was the primary 2008r2 Domain Controller. It had AD, DHCP, DNS, and AD certificate services installed on it. I have moved everything but ADCS. When looking to dcpromo demote the server, I get an error that ADCS is running. I'm not sure how I can tell which certificates will break or which machines will continue functioning. Should I be migrating ADCS to another server, or can the infrastructure survive without ADCS? I acquired this network/server setup, and haven't worked with ADCS before. Please see the attached images with some description. 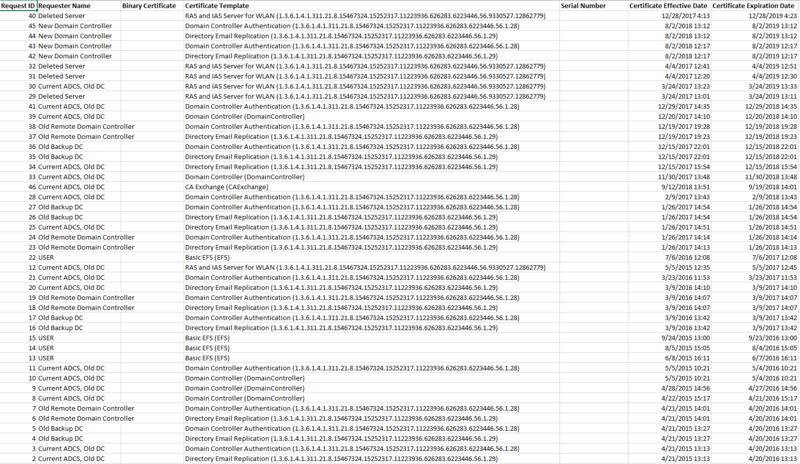 I have omitted sensitive data, and have sorted by cert expiration date. From research, I know that the User Basic EFS certificates are not used anymore, and can be skipped. We are also not using the deleted server for RAS/IAS Wlan. Lastly, we are not using the CA Exchange cert as we are using Office365 for everything. Are the Domain Controller Authentication and Directory Email Replication certs okay to revoke, or will things break? To piggyback on what Mahesh said, If you need a new Internal CA running 2016, I would do exactly what he lists for retaining a CA but also would install Certificate services on a new 2016 server and install a new Root CA. Then in the old one, just remove all the templates. 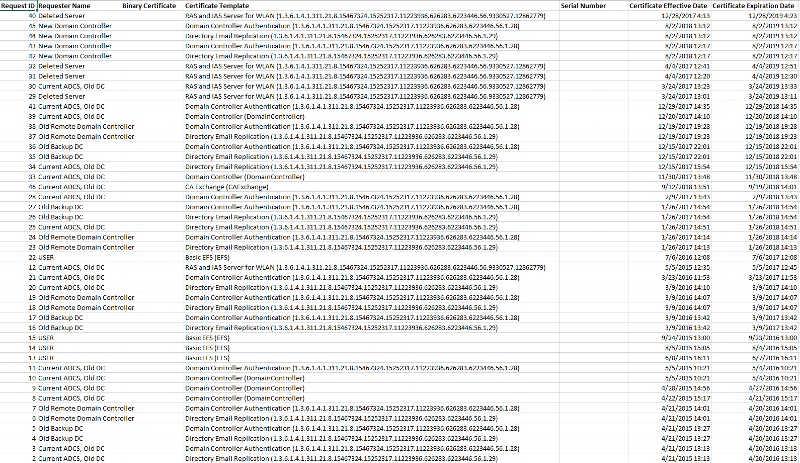 Wait until all the certs are no longer valid or replaced (for Domain controllers, you can just go to the DC and renew the certificate with a new key. It will get a new certificate from the New CA), then uninstall certificate services on the 2008 server and decommission it. Thanks Mahesh and Jeff! I'm going to opt out of having an internal CA.